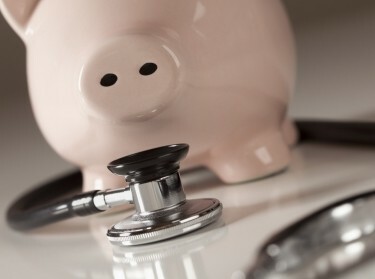 The RAND Corporation has released a report prepared for the Division of Health Care Finance and Policy of the Massachusetts Department of Health and Human Services outlining promising measures the state may pursue to help curb the cost of health care. The report evaluates 21 options for controlling health care costs across five broad approaches, including reforming payment systems, redesigning care delivery, reducing waste, engaging consumers in cost containment and reforming medical malpractice laws. The RAND Health research team found that the most promising opportunities for reducing health care spending in Massachusetts were those that changed the way health care services are paid for. These approaches included both market-based strategies, such as bundled payment, and regulatory strategies, such as all payer rate setting. Researchers say that in general the empirical evidence for many of the reforms is limited and the hope for cost savings is based on theory or analogy rather than demonstrated experience. Some of the options, such as accelerating the adoption of health information technology and enhancing the delivery of primary care, may be important for creating an effective infrastructure to implement changes in payment rules in the future. Massachusetts lawmakers in 2006 adopted health reform that requires most of the state's residents to enroll in health insurance if they have affordable coverage available to them. As a result, the state's rate of uninsurance has declined to 2.6 percent, markedly lower than the national average of 15 percent. A recent state report warned that health care reform will become unaffordable for individuals, employers and the state government unless health care spending can be brought under control. State officials asked researchers from RAND Health to develop a comprehensive menu of cost containment strategies and determine their potential impact on the health care system in Massachusetts. Researchers say they found no easy solutions to the problem of rising health care costs in Massachusetts. Finding long-term solutions to rising health care costs will require significant investments in infrastructure and in fundamentally changing the way health care is delivered, according to the report. Christine Eibner @Chrissyeibner, Peter S. Hussey, et al.